Illustration of running red deer footprints. 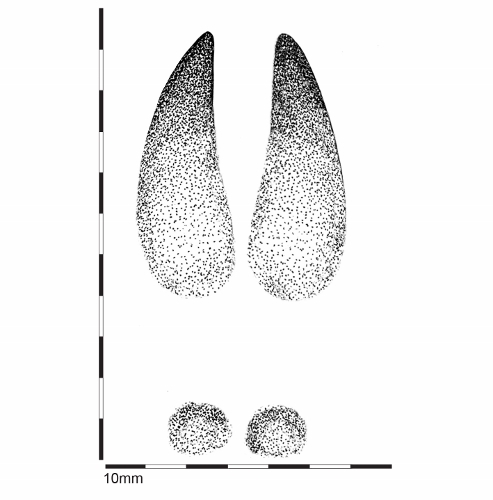 Red deer footprints show two halves of the hoof (cleaves or toes), which have pointed tips. This drawing illustrates an animal running on soft ground, as the toes are more splayed and the dew claws are visible.